Ministers have pledged to overhaul children's services in England after a report condemned the slow progress made in protecting young people from harm. Lord Laming's review said too many authorities had failed to adopt reforms introduced following Victoria Climbie's death in 2000 after months of abuse. The Tories said the "scathing" report was an "indictment of the state of child protection" in England. Children's Secretary Ed Balls said all recommendations would be acted upon. 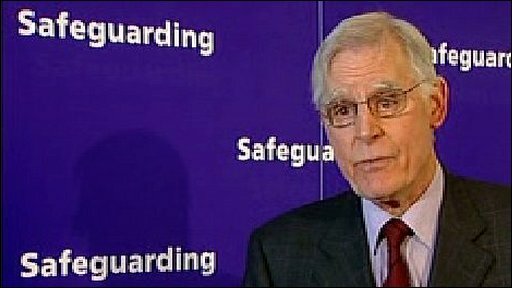 Lord Laming - who headed the inquiry into the death of Victoria Climbie six years ago - criticised those working in child protection for not doing enough to turn the reforms he recommended into practice. And his report stressed the key message in capital letters, saying: "In such circumstances it is hard to resist the urge to respond by saying to each of the key services, if that is so, 'NOW JUST DO IT!'" His report went on to say that child protection issues in England had not been given "the priority they deserved" and that a lack of funding had made child protection a "Cinderella service". Lord Laming called for better training and support for social workers who he said were under pressure and losing confidence because of an "over-emphasis on process and targets". However, he said he wanted to see targets for child protection, similar to those for schools, and a national strategy to address recruitment and retention in children's social work as well as national guidelines setting out maximum case loads for social workers. 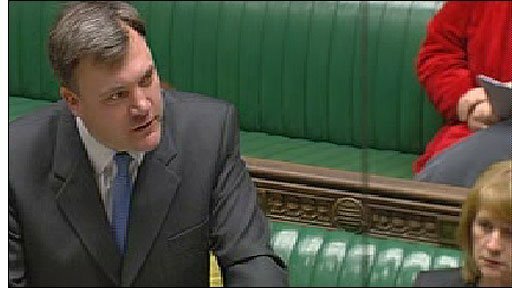 Children's Secretary Ed Balls had asked Lord Laming to look into child protection issues after the details of Baby P's death came to light last year. 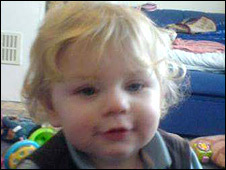 The 17-month-old died in August 2007 in the London borough of Haringey having suffered months of abuse, despite being seen 60 times by various professionals, including doctors and social workers. Lord Laming had previously made 108 recommendations following his inquiry into the death of eight-year-old Victoria Climbie, also in Haringey, who was abused by her aunt for months before her death in February 2000. Tory schools spokesman Michael Gove told the House of Commons the events that had led to the publication of Lord Laming's latest report were "horrific" and haunted the nation's conscience. He said the peer's "scathing" report into the bureaucratic burden on social workers and its description of child protection as a Cinderella service was "a remarkable indictment of the state of child protection in this country". He asked ministers: "Where does responsibility lie for this failure? And can you tell us - beyond the creation of a new quango - what urgent practical steps you are taking to raise morale, ensure resources reach the front line and reduce red tape? "Because Lord Laming's report is again scathing about the unwieldy, overly bureaucratic nature of the compliance regime currently in place." Paul Ennals, chief executive of the National Children's Bureau, an umbrella body for organisations working with children and young people, said morale amongst social workers had "never been lower". "They've felt that the challenges they've been facing on a day-to-day basis, on all our behalves, haven't really been recognised. "And so many of the staff, I'm afraid, have been choosing to move out of that work to find other work that's maybe a bit less threatening and less difficult." Chris Mills, who spent eight years in child protection, said Lord Laming's original reforms had in themselves made social workers' lives more difficult. "Every inquiry into the death of a child seems to result in people bringing in new procedures, new formalised ways of working which become ever more complex but which never really take account of the very difficult situations that people face on the ground." But Anthony Douglas, chief executive of the Children and Family Court Advisory and Support Service, which advises courts on how they can safeguard the welfare of children during family disputes, said many childcare professionals already knew changes must be made. "I think those of us in charge of children's services whatever our agency, have to have a relentless and uncompromising, zero tolerance of poor practice and professional mistakes on behalf of children who often don't have a voice," he said. Wes Cuell, the NSPCC's director of services for children and young people, described the report as "a new chapter in child protection". "But there is still a long way to go," he added. The children's secretary told MPs in the Commons that the government would take immediate action to implement all of Lord Leming's recommendations. Mr Balls said he had appointed Barnardo's head Sir Roger Singleton as the first chief government adviser on the safety of children. He also announced that ministers would be taking control of Doncaster children's services and appointing a new management team because of concerns over the deaths of seven children through abuse or neglect in the past five years. Accepting the review's findings, Mr Balls told MPs: "None of Lord Laming's proposals alone could have prevented the death of Baby P. But all of them together add up to a step change in frontline child protection. "No barrier, no bureaucracy, no buck-passing should ever get in the way of keeping children safe." In a separate move, the BBC understands the Welsh Assembly is also to intervene in the running of Swansea council's children's services department following two critical reports into its child protection procedures. Scotland, Wales and Northern Ireland have their own systems to monitor child protection and are not covered by Lord Laming's review.